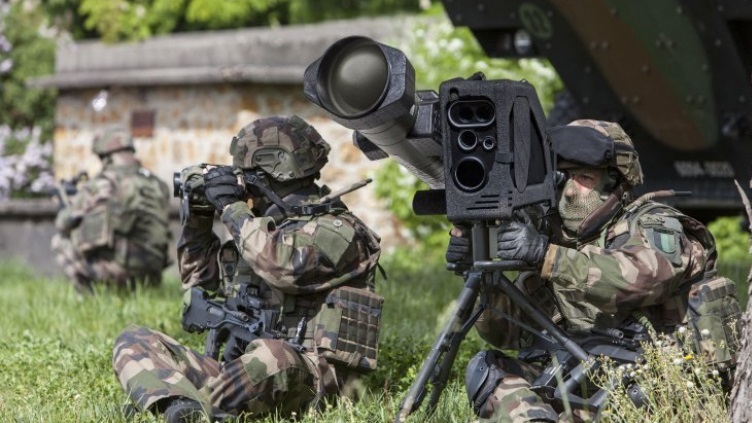 The French Army for the first time deployed its new MMP battlefield missile on foreign operations in December, when a unit took the weapon to Mali as part of Operation Barkhane. From 10 to 22 December, the Picardie Battle Group carried out an operation in the Three Borders region of southeastern Mali, during which the new medium-range missile (Missile à Moyenne Portée) was deployed and used for the first time in theatre, the French defence ministry said. Within a group of six soldiers who deploy the MMP, each has a definite role: commander, gunner, loader, rear gunner, a radio/marksman and driver. The MMP can be operated by day and night. Its fusion mode detects heat sources and allows soldiers to detect an individual hiding in a grove or behind a tree. The French defence ministry said the new missile is a true digest of electronic innovations: with a range of over 4,000 meters, it can be used both as for anti-personnel and anti-vehicle strikes as well as against fortifications and high-value targets. This is an interesting innovation in the Sahelo-Saharan the theater of operations, where the flanks of some rock formations can be used as shelters by members of armed terrorist groups. The MMP is the successor of the Milan system. Now deployed for the first time on combat operations, it will gradually equip the majority of French first-line units. Led by the French armed forces, in partnership with the G5 Sahel countries, Operation Barkhane was launched on 1 August 2014. It is based on a strategic approach-based partnership with the main countries of the Sahel-Saharan strip (BSS): Mauritania, Mali, Niger, Chad and Burkina-Faso. It brings together some 4,500 military personnel whose mission is to fight against armed terrorist groups and to support the armed forces of partner countries so that they can take engage this threat, notably within the framework of the joint G5 Sahel force which is being established.